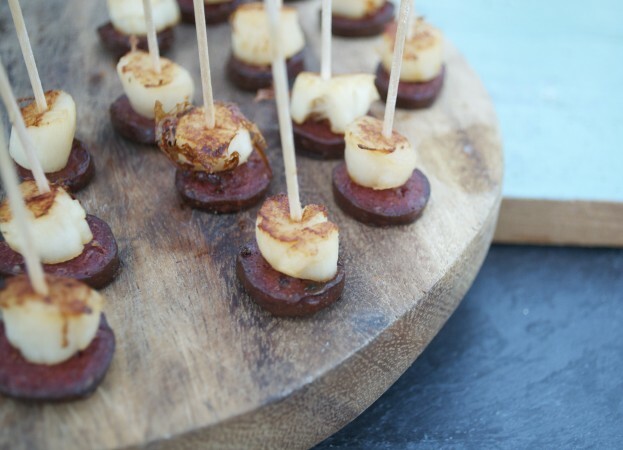 Scallop and Chorizo canapé recipe. Slice the chorizo in in 12 5mm slices and fry until crispy. Fry the scallops in a very hot pan until nicely caramelised. Secure each scallop on a slice of chorizo with a cocktail stick. Display on a plate or board and serve to your guests.